Do you want to become a member of an Award Winning Delegation? 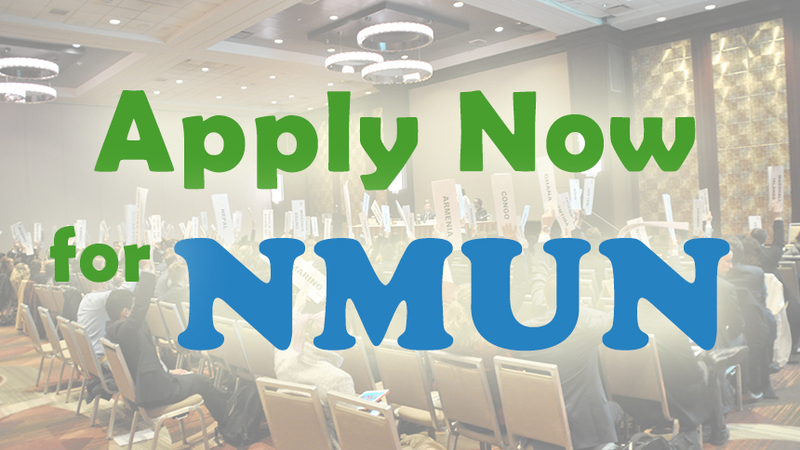 File an application to become NMUN 2020 delegate. The 2020 Conference will be held from 29 March to 2 April 2020 at the Sheraton Hotel Times Square N.Y., the Hilton Midtown and the United Nations Headquarters in N.Y.
As a delegate you will have the unique opportunity to improve your academic and social skills. You may experience that it is possible to make a difference. To learn that you can change the world and that a single try is worth. Speed up – application deadline: 4/24/2019!! The data provided will solidly be used for the curricular study course National Model United Nations 2019. We are looking forward to meeting loads of exciting and diverse personalities to make NMUN 2020 a great success again!